We enter the war in its dying days. Germany has been defeated, but they haven't given up yet. Instead, the Nazis are characterized as desperate and essentially willing to deal out whatever damage they can in a last-ditch effort to turn the tide back. From the glimpses we are given into the allied forces, it appears that the Germans are delivering quite a bit of damage to them with the limited munitions that they have left. 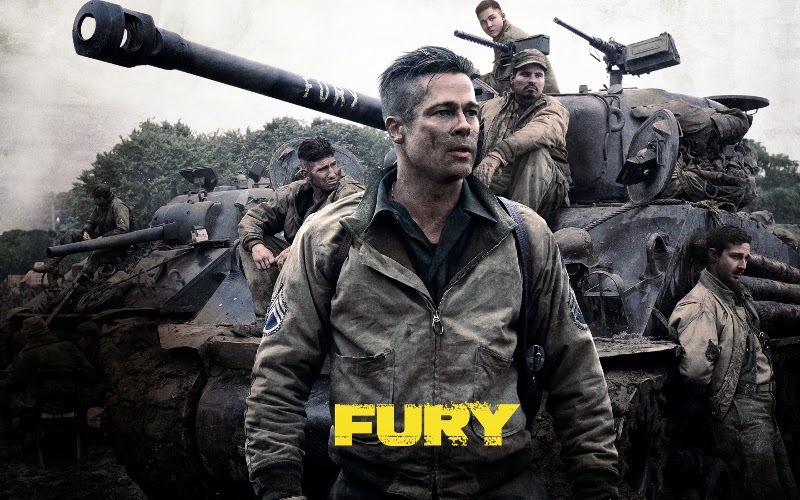 Enter Brad Pitt (known as Wardaddy) and the gang in the tank they dubbed Fury. Brad and his crew are battle weary and experienced, and they just lost one of their crew who is quickly replaced by an inexperienced private (played by Logan Lerman). It's up to Pitt and his ragtag gang of war criminals (more on that later) to get him up to speed by abusing and demeaning him as much as possible. They interact like a dysfunctional family, but they work in battle like a well-oiled machine. Smuttynose has really been on a run with me. They have had some stumbles, but they are really putting some effort and talent into their beer, and I am looking forward to this one. I really like a good stout, and this one is on the line between a stout and a dark Belgian ale. I want this beer. The color is very dark black, but there is a tint of red that is visible during the pour and pretty much no other time. The minimal head dissipates very quickly, and there is little to no lacing left on the glass. Instead, there is a simple ring of tiny bubbles sucking to the sides of the glass. To the nose, the beverage is meaty and sweet; there are a lot of nice smells intermingled in there with a smokey, nutty, and a little bit raisin/fig about it. the sweetness reminds me of a milk stout, but this stout has more in common with some of the Belgian Dark Ales that I've had recently. 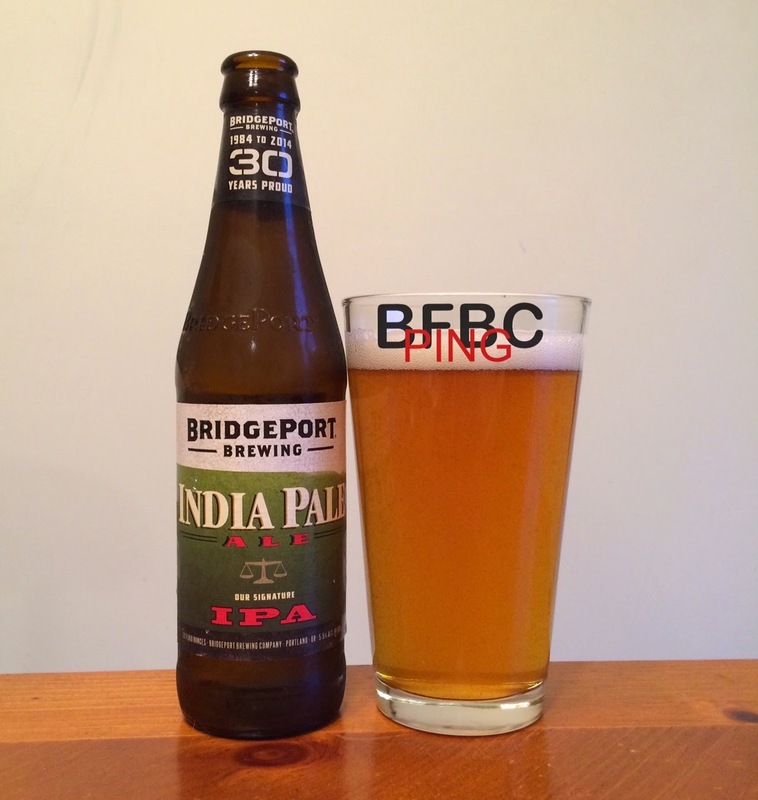 I know nothing about Bridgeport Brewing other than that it is in Oregon. I know a bit about IPAs, though, and I know that they are the most forgiving of beers to brew, and they are also the best shot any brewer has to make a beer I'm going to like. I like a lot of other beers, but you have to be really good to make me give them a good rating. This is the easy button. Let's see if they pressed it. It's a hazy gold. This is the color a beer should be. I like it. The aroma drips with floral hops and a light bready malt; there's something else under there like a lemon that has been left out a little too long or something. . The head is thin, but sticky. It leaves a good amount of lacing on the sides of the glass. I didn't know exactly what to expect from this movie going in. I had heard that it was a good movie, and I knew that Michael Keaton was playing a guy who used to be a superhero, but that was about it. It turns out, this was probably slightly less of a superhero movie than Unbreakable was. But, it is more of a superhero movie than, say, Fury. 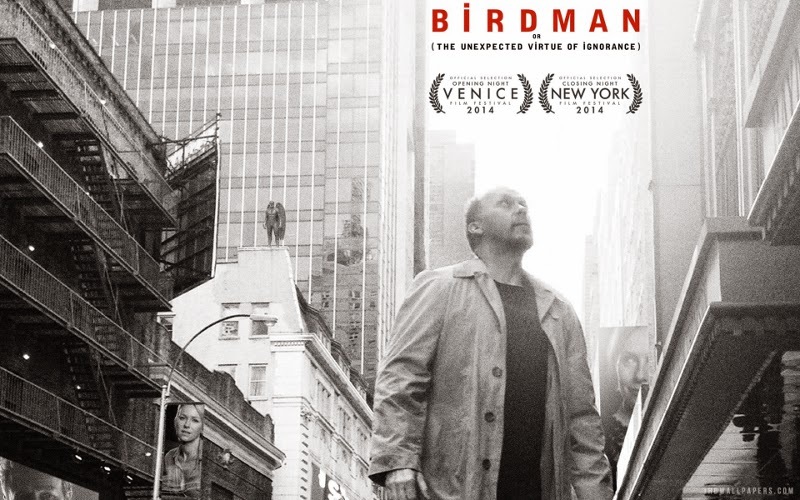 Michael used to be a superhero in a few Birdman movies, and now that's what he's known for. But he's struggling to be taken seriously as an actor by writing, directing, and starring in his own Broadway play. The play itself is immaterial as far as the movie is concerned, but the actual production of the play is very important. When I placed the four pack of this on the counter at my local distributor, the guy behind the counter abruptly and unexpected said, "Oh, good choice!" I am cautious with my choice of something that looks psychedelic and has the word "artisanal" on the label. I've been burned by hipster beer before, and I hate that those people are such an influence on craft beer. Still, it means I have more choices. And more choices is better. The color is a foggy straw yellow with a stark white head that is thick and frothy. It sticks VERY well to the sides of the glass leaving lacing that covers about as well as paint on the wall of the last room I painted. The aroma is floral hops and lemon spice. There's more to the smell, but it's hard to put my finger on. I'd say it smells like flowers and grains as well. 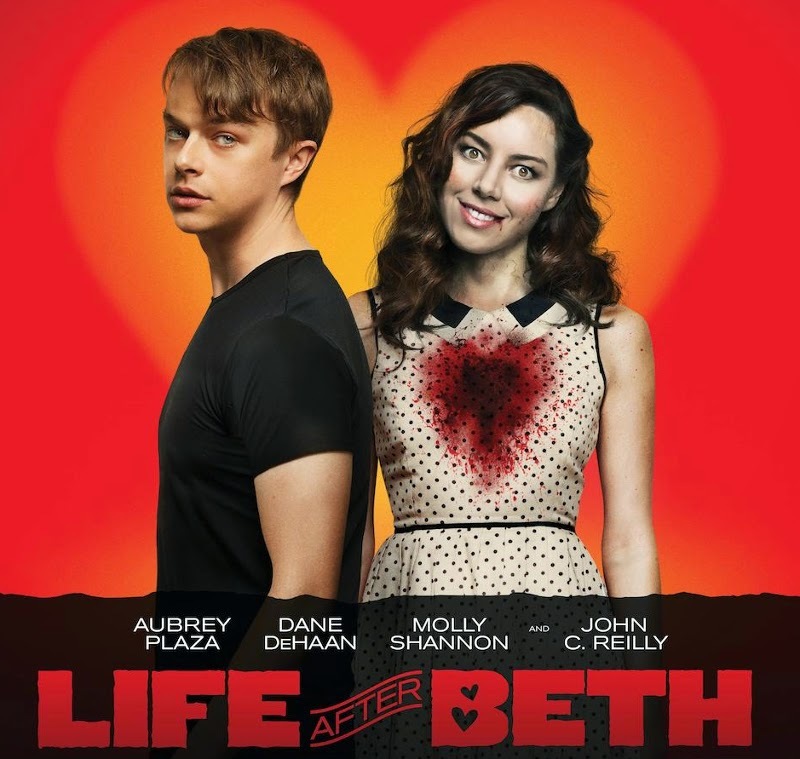 Ostensibly, this is a movie about a boy who misses his girlfriend. He's delighted when she seems to come back from the grave, but that is when things take a turn for the zombie. I like zombie movies in general, but I think they may have jumped the shark. At this point, people are making whatever damn movie they want if they just toss a bit of zombie action in. The genre may have to go on the back burner for a little while. I like Aubry Plaza. I think she's a good actress for these kinds of parts where she plays a disaffected and sarcastic youth who doesn't really have direction or motivation beyond primal urges. In this movie, she does a pretty good job when she inevitably degenerates into a flesh eater. She's not the problem with the movie. Have you ever lost something you really liked? For me, one of the things that I lost was Guinness Draught Bottles. I remember when they first came out, and my brother called me to express the joy he felt drinking one. He said, "I just had the best Guinness I've ever had outside of a bar that had it on tap." I tried it, and I agreed with him wholeheartedly. Then, Guinness decided to change the way they manufacture the beer, and the new ones just aren't as good - at all. 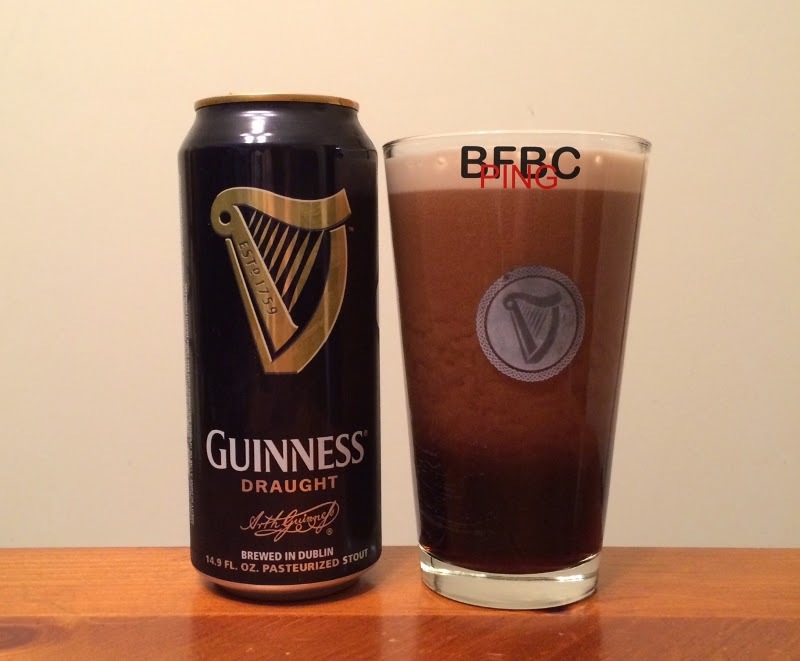 I had an email argument with Guinness representatives about this, and they were of no help. I decided to see if the metallic taste of the cans really does change the flavor. That's what I remember when I first had one, but that was a long while ago. I have never given Murphy's a proper shot. The problem is that I was introduced to Guinness long before I tried Murphy's the first time, so I always thought of it as Guinness' less capable brother. 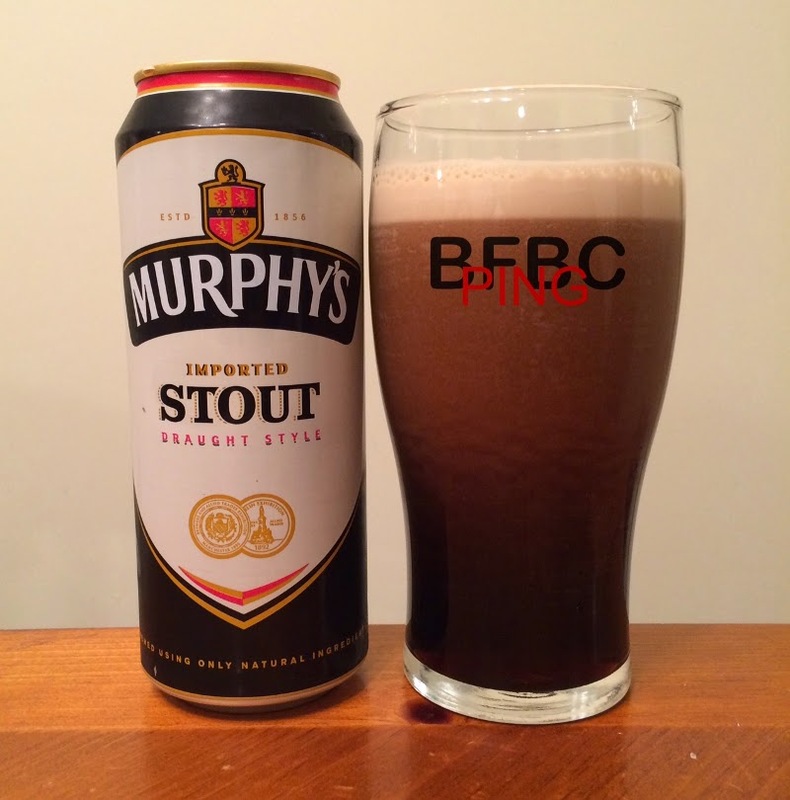 However, since my recent feud with Guinness over the unnecessary cobbling of their bottled beverage by removing the nitrogen widget and redesigning their process to attempt - and fail - to make it taste the same, I figured I would try Murphy's, which I now view as its arch-rival. What a crappy movie. 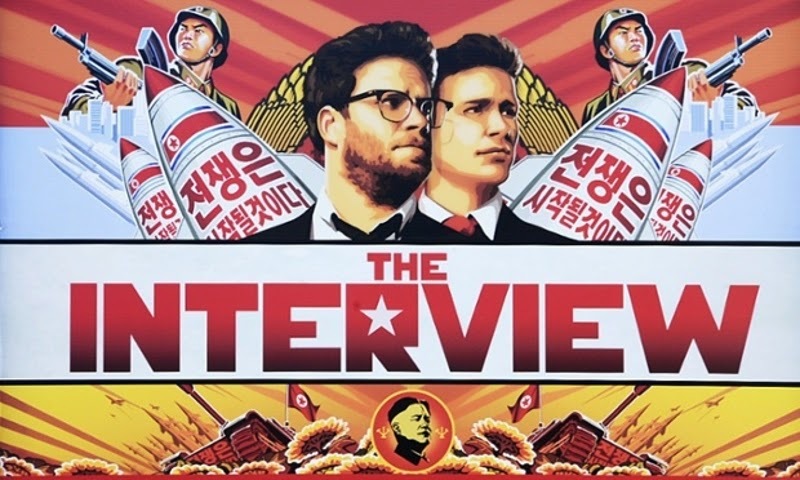 Realistically, I didn't have very high expectations, and like most of the people who saw it, I only watched it because of the controversy around the Sony hack that was attributed to a faction of hackers who were reportedly upset over the depiction of Kim Jong-un in the movie. I think they should have been upset about Team America, but this movie just wasn't worth the effort. I can't imagine it would have been a success without the intervention of the Nork hackers. Another Goose Island beer. 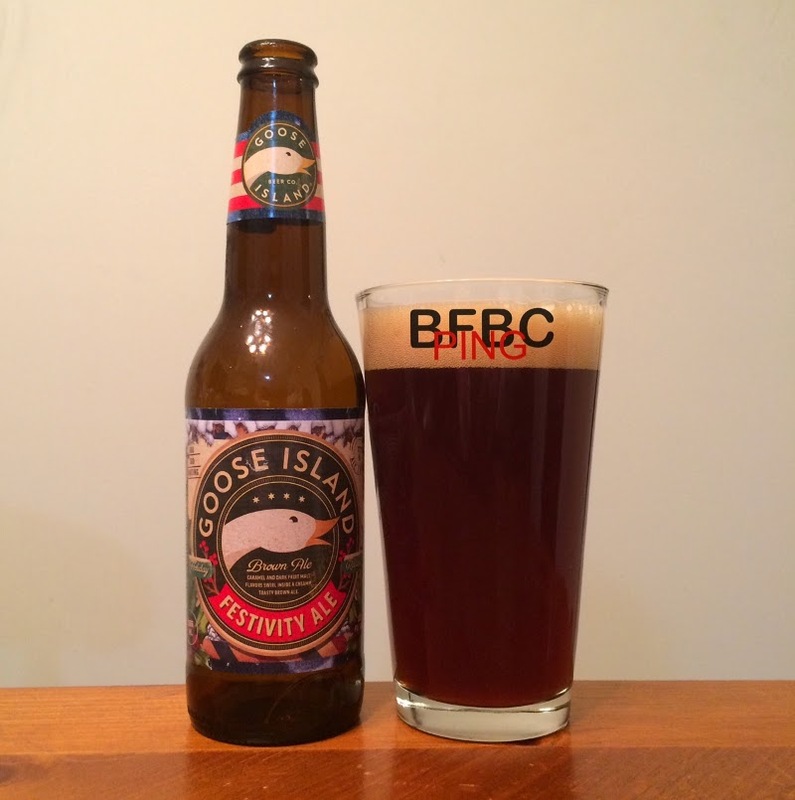 Most have been very good, and I recently had a good brown ale, so maybe Goose Island will be able to take my appreciation of brown ales even further. Maybe I can finally see what everyone who likes this style sees in the beer. It's a very dark and murky brown - like the dimly lit alcove under rarely used basement stairs. The head is admirably thick and sticky - lacing on the sides of the glass can be enjoyed for quite some time after the beer is gone. The aroma is spices, nuts, and fresh baked bread but very slightly metallic (like bread machine bread). Smuttynose has brought me some interesting beers. 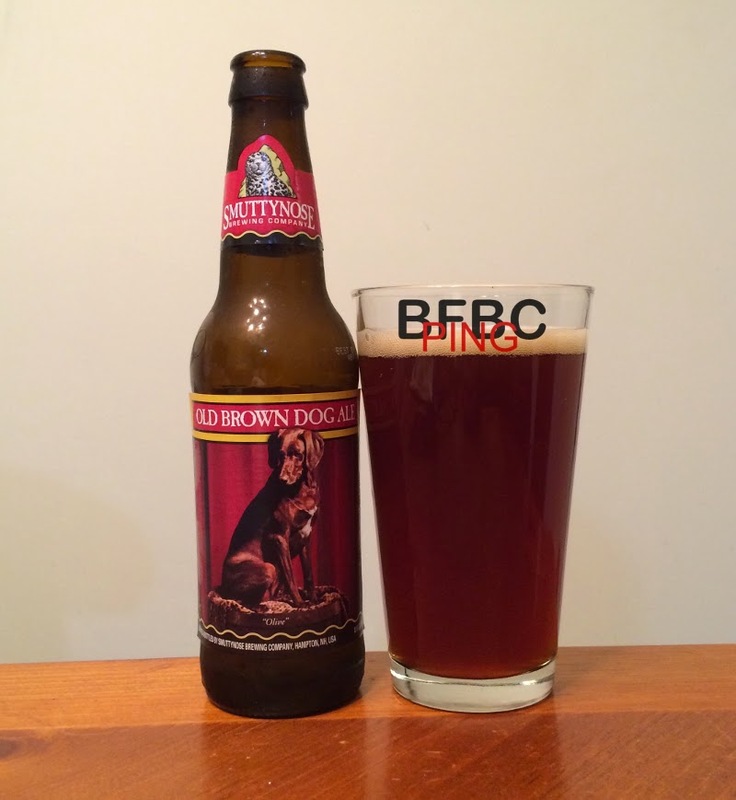 This is their attempt at a brown ale, and my experience with brown ales has not been overwhelmingly positive so far. I certainly hope that this will be a good one, but it seems like this is dangerous ground for me to be wading into. The color is brown. There is no ambiguity about that color at all- it's a deep, dark brown like if they took a UPS uniform and wet it down until it was really, really dark. The head is minimal, thick enough, and it leaves a ring and some stray bits of foam across the top of the beer. The aroma is malty and bready. I'd say it smells like bagel crust more than anything, and it also comes across as slightly sweet. Time to drink. Ever see Blade Runner? 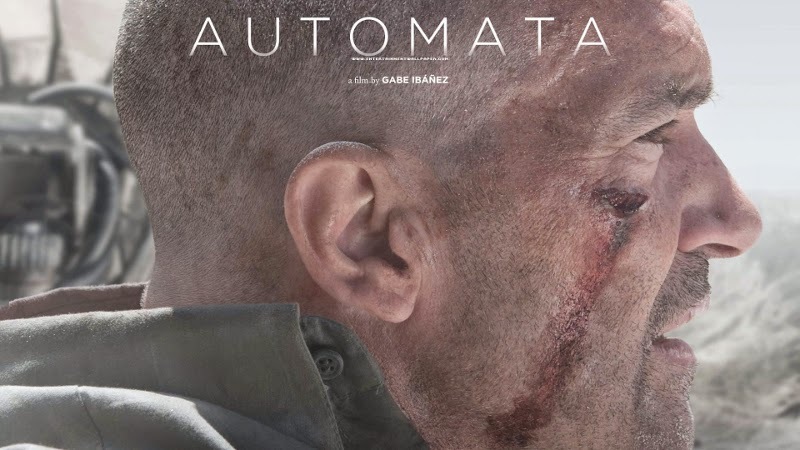 Well, the guys who wrote this movie had also seen Blade Runner, and they thought that they could make something similar, but with updated effects and with Antonio Banderas instead of Harrison Ford. I can't say it's a bad idea - the original Blade Runner is a classic and doing a proper update might not be a terrible thing (and they are planning on doing that very thing right now). The problem is that this movie tries too hard to be a cult classic. The visuals of this movie are very nice. The framing and the mood - just everything drips with the same kind of stylized future dystopia that Blade Runner had - even down to the miserable rain and the brightly colored neon lights. The design of the robots is very stylistic and actually pretty reminiscent of I, Robot - another book (and film) that I really enjoyed that this movie borrows from pretty heavily. While you're waiting for Taken 3, and you've already seen Non-Stop, why not get Taken with another Liam Neeson movie where he plays a guy who is trying to find a person who has been Taken? He's not related to them this time, and he's supposed to be kind of broken down and a recovering alcoholic, but these are just fiddly little details in yet another Taken movie. Admittedly, there are fewer fight scenes in this movie than there are in most of the Taken films, and there are fewer chase scenes, but the formula hasn't changed much. Liam still has superhero-levels of capability when it comes to shooting bad guys and anticipating traps, and he relies on those and luck to come out of the movie (hopefully) alive. The last time I tried a light beer was back when I was in college and it was free. I didn't have a particularly discerning palate at the time, but I remember not thinking it was all that great. Mind you, I was in college and it was free, so I had quite a bit of it. This is from a company I respect, and all indications are that this is the best a light beer can get. Let's see how good it is. The color is pleasingly amber - not a hint of the light beers I had previously been exposed to. The head is pretty minimal, and it whittles away to nothing pretty quickly. It's not uncommon for a lager to leave no lacing and retain little head, so I'm not going to hold that against them. The aroma is a sweet and grainy malt, which is exactly what I would expect from a lager. 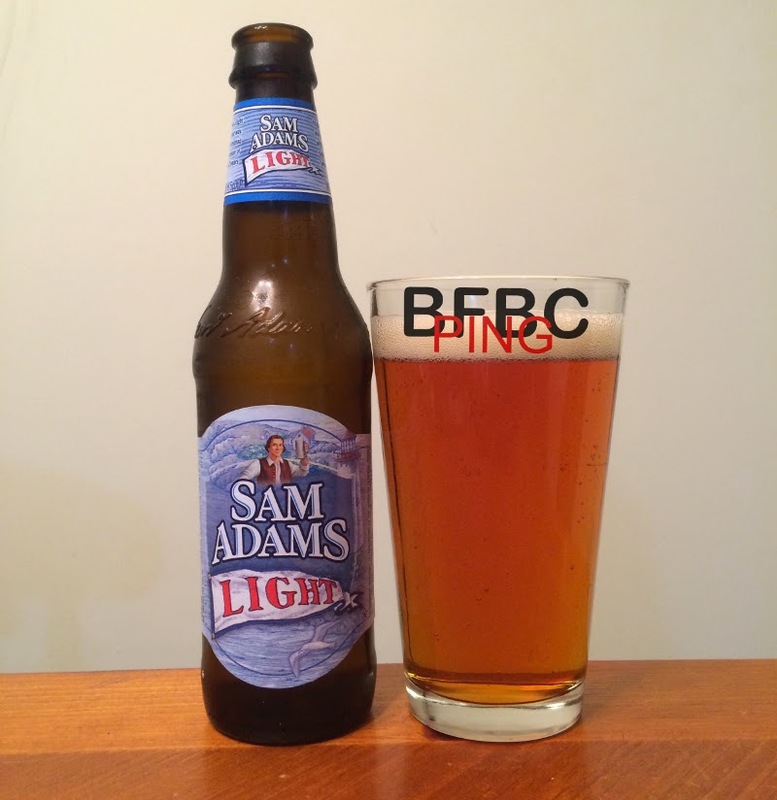 So far, nothing different means this light lager may be just as good as a regular Boston Lager.